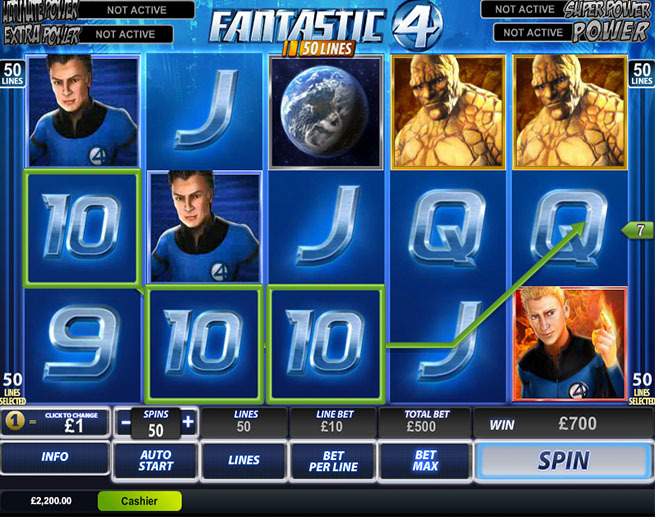 The world of the online slot machine is an area where game developers can thrive with their ingenuity. But sometimes it pays to just let the power of the product do the job for you. The movie industry is one of the most lucrative in the world. The stars get paid millions, the movies gross billions and the net result is a lot of happy punters around the world. These day’s movies are franchises and their debut in the cinema often results in a plethora of other related merchandise, and the gambling sector is no different. Movies make for great slot machine themes as they attract the loyal fans of the movie itself. Here are just a few of the gems of our time that are available at online casinos for consumers to try to beat the odds and win some cash. Fantastic Four was released in 2005 and starred Ioan Gruffudd, Jessica Alba, Chris Evans and Michael Chiklis as the super hero outfit Reed Richards, Sue and Johnny Storm and Ben Grimm. It was one of many releases from the world of Marvel Comics that has so far seen one sequel hit the screens when the Rise of the Silver Surfer debuted in 2007. We can see the reboot of this great movie in theaters now, so hit those slot machines as soon as possible. 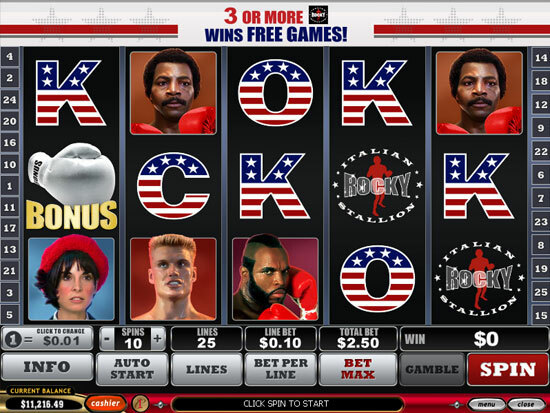 The 1976 underdog classic, written by, and starring, Sylvester Stallone, is an iconic movie of our time and it translates wonderfully well to the world of slots. The original movie won three Oscars including best picture and has since seen many sequels hit the silver screen. 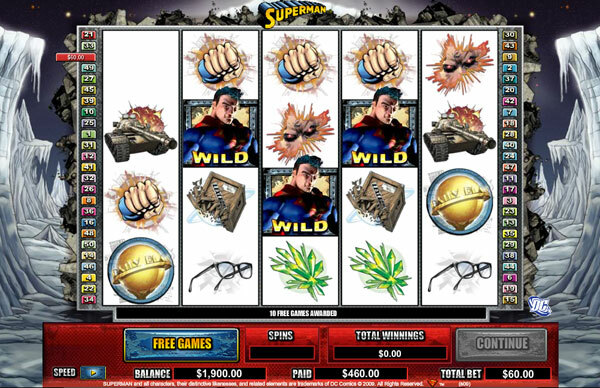 With the eagerly awaiting ‘Man of Steel’ set to smash through our screens sometime in the future, the DC Comics star Superman is another great slot machine theme. Christopher Reeve brought Clark Kent to our silver screen when the original movie debuted in 1978 and it has spawned many derivatives of the same theme ever since.